Before I start talking about the dogs I met this week (and I’m very excited to introduce you to them! ), I want to give a quick reminder about Orphans of the Storm®’s 12th annual Benefit Dinner, happening Monday, April 23 at 5:30 p.m. It’s just a week away, so make sure you reserve your spot ASAP! 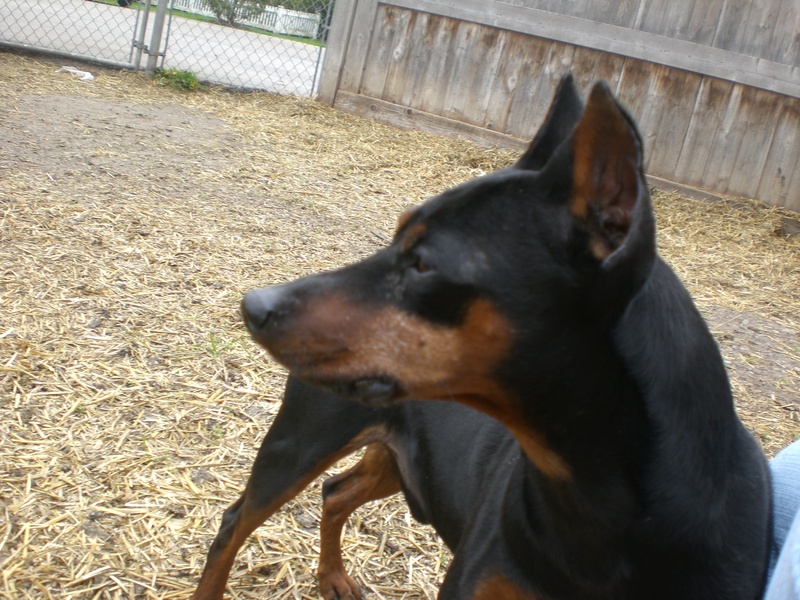 Today was my first ever interaction with a Miniature Pinscher, and I can see that I’ve been missing out! What a great little dog six-year-old DooDah is! With a name like that, you know he has to be fun. He was incredibly excited to come outside with me and scampered around the run, sniffing everything. After a couple minutes, DooDah realized that I was squatting down and came running over, putting his front paws on my legs and jumping up to get close to my face. He is ready to happily receive your love and attention, and will love you back just as much. His little legs and little face are just too cute! This guy will be a great watchdog. 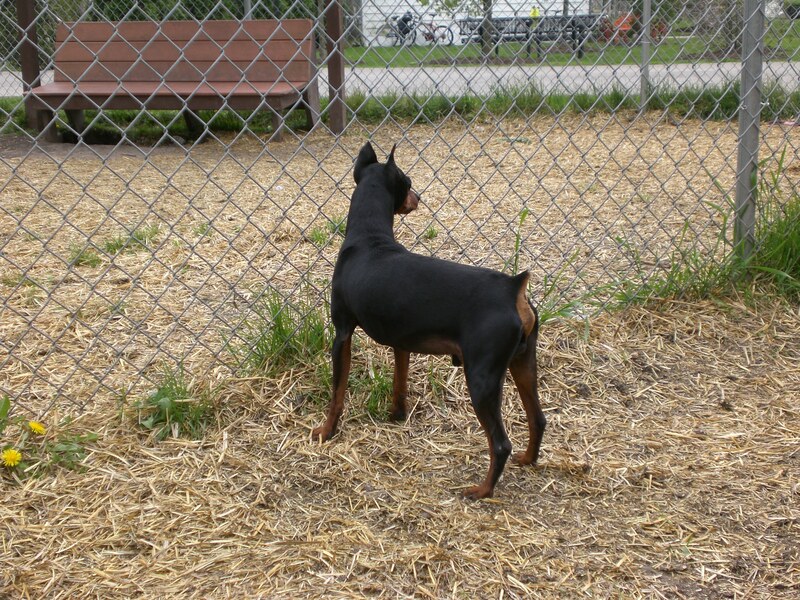 He was very attentive to what was happening on the other side of the fence and was eager to tell me all about it. He hopped onto the bench next to me, enjoyed being pet for a little while, and then launched himself back off the bench to continue his explorations. DooDah will make a lovable and fun addition to any home! 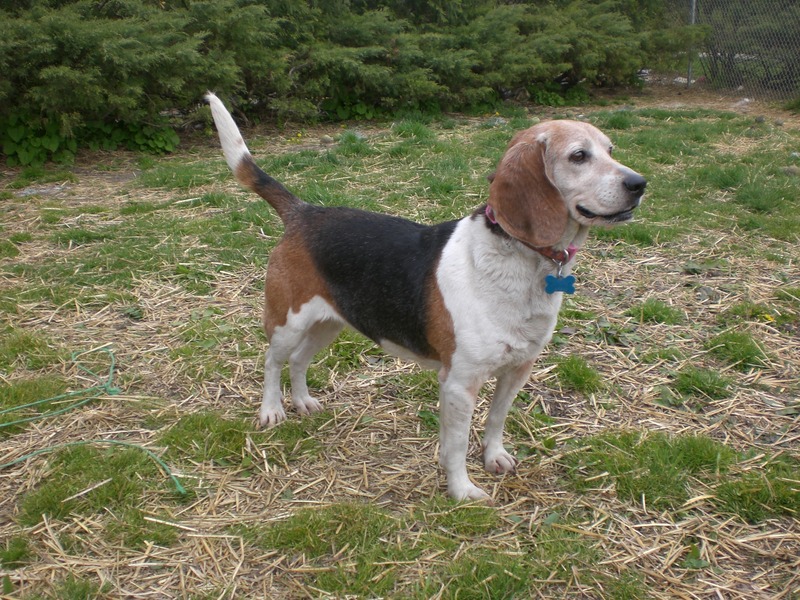 Are you a Beagle lover? If so, you’re in luck! 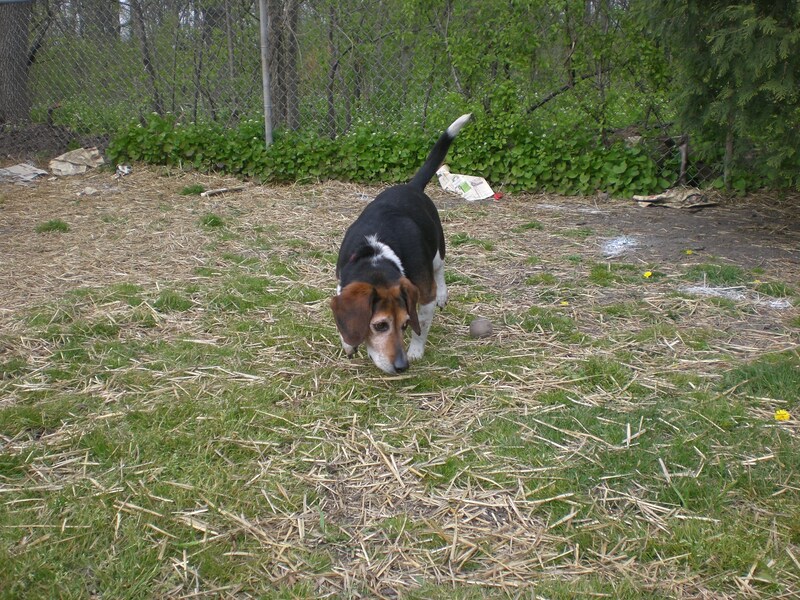 Orphans of the Storm® currently has a bundle of Beagles looking for their new homes! 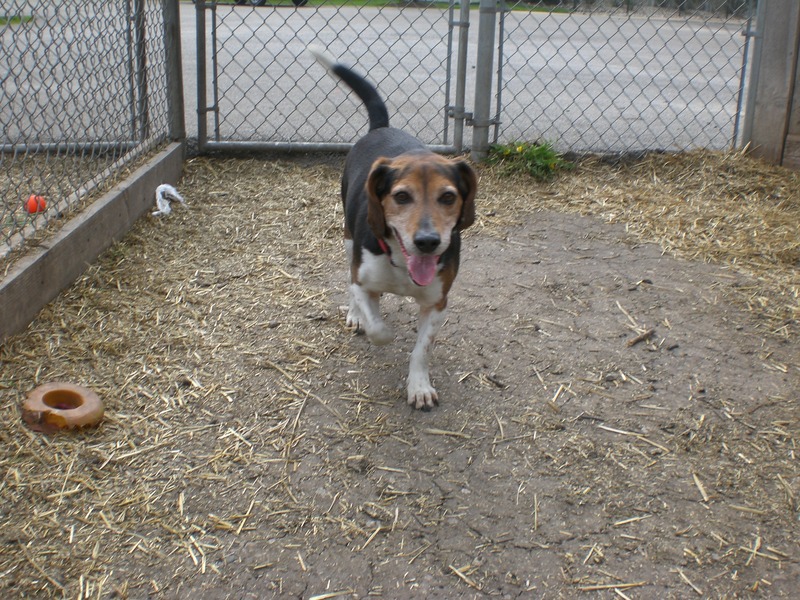 I only visited with two of them today, but check out the website for a full listing of all the Beagles (and all the other adoptable dogs!). Chloe the five-year-old is a happy little dog. Her tail was wagging the entire time we were together. She put that Beagle nose to good use and spent much of her time sniffing the run, investigating who else had been outside before her. It’s hard to not fall in love with an adorable Beagle face like hers. Even though the gray fur on her face makes her look a little older, you know she still has lots of energy and lots of affection to give her new family. Chloe also came to learn that she could at least partially climb into my lap, and liked being scratched on the side of her neck. 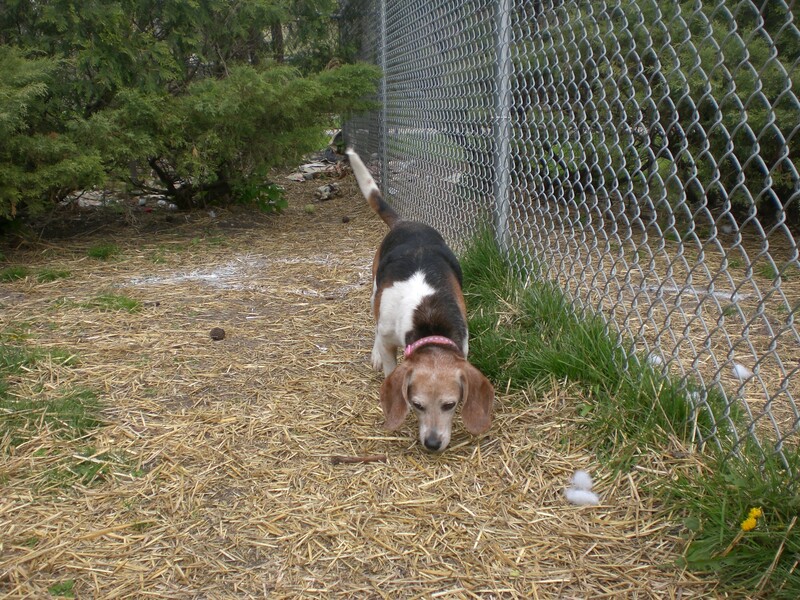 Take Chloe out to one of the off-leash runs and see if she’s the perfect fit for you! Boomer the six-year-old is slightly larger than Chloe, and is her current kennelmate. 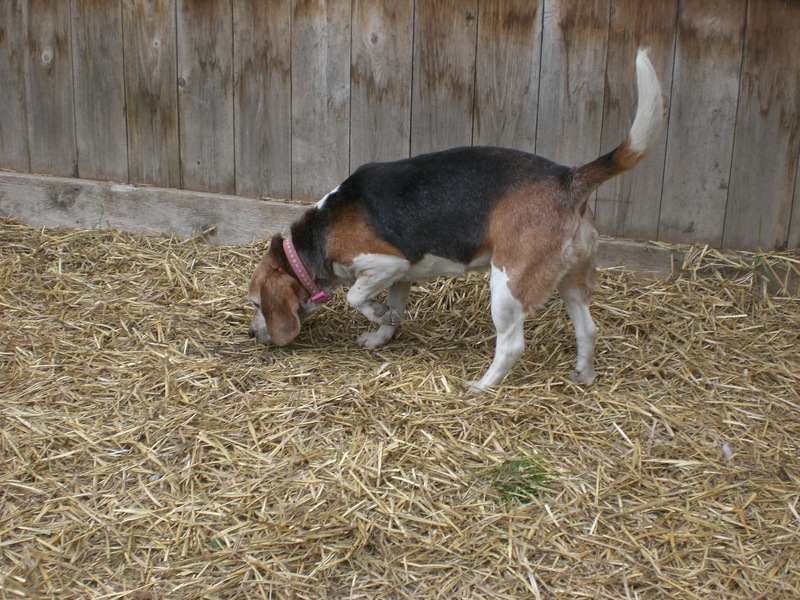 He was a little more playful, though I don’t know if Beagles are known for being good fetchers–they like using their noses more. My copy of Simon and Schuster’s Guide to Dogs says that Beagles have a “harmonious voice,” which is true for Boomer. He doesn’t have a booming bark at all! 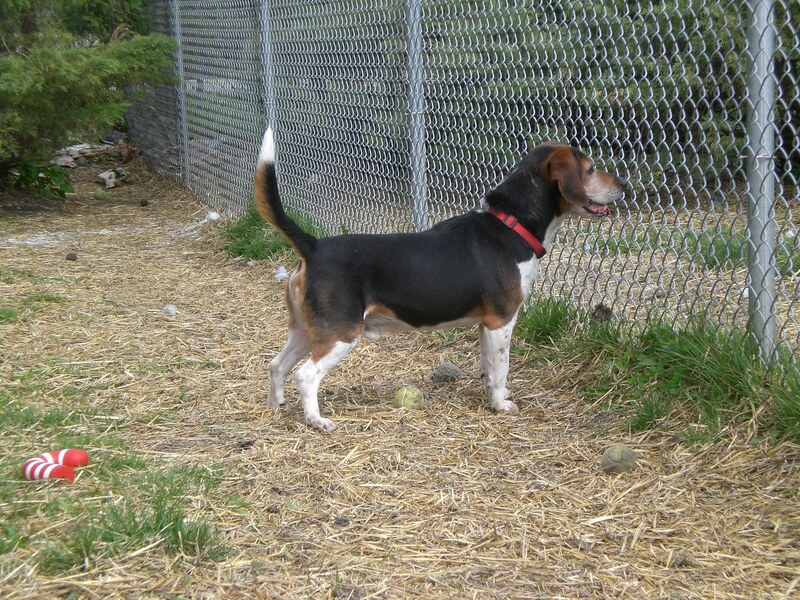 He has that wonderful, low Beagle voice and was using it in an attempt to get the attention of the dogs and humans in the run next to ours. And, I’ll note, he was successful. This sweetheart was eager to stand next to me and get a nice back rub and scratch on the ears. Although he might be a little big for the average lap, that won’t stop him from trying to get nice and close to you. Come meet Boomer–I bet you won’t be able to resist those lovable eyes. 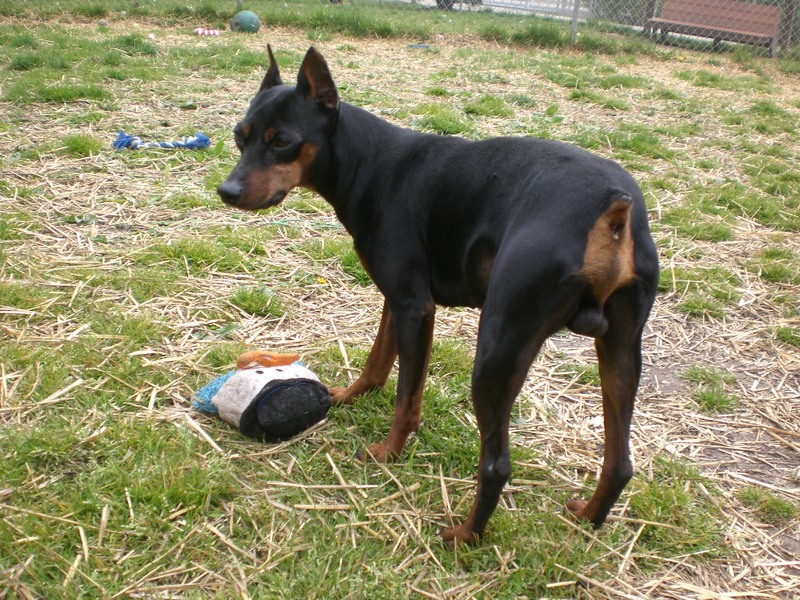 Posted by Meet the Pooches on April 15, 2012 in Dog Profiles and tagged adoption, animal shelter, Beagle, Chicago, dogs, Miniature Pinscher, Orphans of the Storm, pets.